Biomimetic formulas imitate the layered organization of the skin. Eau thermale Jonzac® certified organic and hypoallergenic1 creams and skincare products are extremely compatible with the skin. This biomimetic characteristic comes from the formulas with lamellar active ingredients and moisturizers. How is the skin organized? The skin is an extremely intelligent structure that contains water and lipids amongst others, even though water and oil are not supposed to be compatible! The skin found a way of making both coexist because they are each vital! Skin cell membranes are mainly constituted of molecules named phospholipids. These phospholipids have a hydrophilic head, which means it likes water, while their tail is lipophilic, which means it likes oil. Within the cell membrane, these phospholipids line up head to tail so they can be as close as possible to everything they like, thus creating a lipid bilayer. This lamellar structure is the most stable form. This lamellar structure allows water and oil to cohabitate thanks to the presence of phospholipids. It is an extremely smart system that can easily be thrown out of balance. Another thing that seems surprising and even contradictory is that to maintain the skin’s moisture, it needs fat and therefore it relies on skin lipids! It is therefore essential to preserve the lamellar structure. What is a lamellar structure? 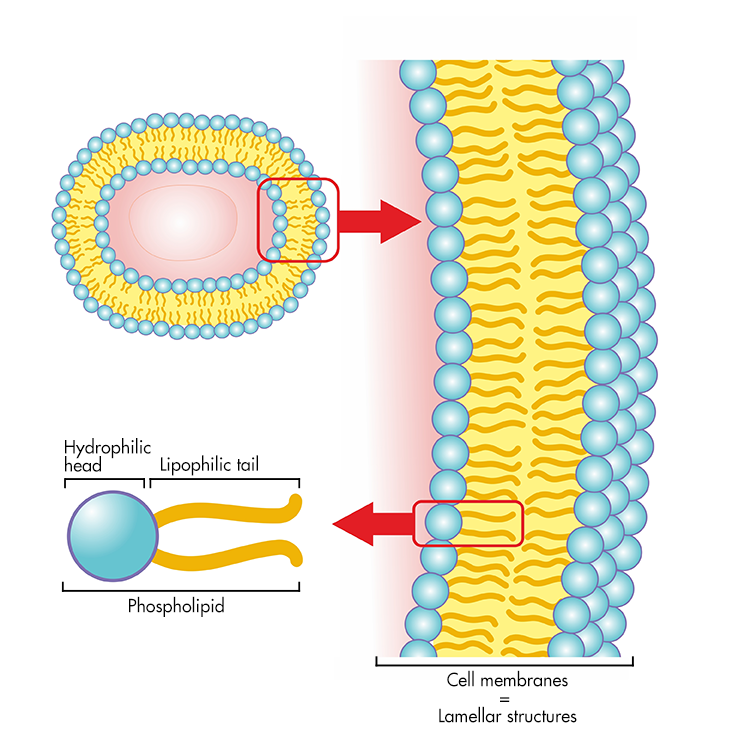 A lamellar structure is organized in lamellas, or layers. This lamellar structure constitutes skin cell membranes. To understand the important role lipids play in this lamellar structure, let’s look at an example. Take a person who washes each day with soap or with a shower gel loaded with sodium lauryl sulfate, an irritating cleansing agent. That person’s skin is stripped of its lipids every day, they are eliminated. Cell cohesion is compromised and moisture is no longer retained in the skin, causing it to dry out. To restore balance, the skin starts producing lipids rapidly, except that these are different from those that were eliminated, because they are short-linked lipids which are irritating for the skin. In addition to dry skin, red spots and irritation also start appearing. It is therefore essential to privilege skincare that is naturally the closest to the lamellar phases of the skin. How would you define biomimetic and nature-like active ingredients? Biomimetic active ingredients imitate the natural mechanisms of the skin. Nature-like active ingredients are molecules that can be found naturally in the skin. Jonzac products are inspired by the natural functions of the skin to create « bio-affinity » active ingredients. For example, the natural hyaluronic acid present in Jonzac formulas is a nature-like ingredient because hyaluronic acid is naturally found in the skin matrix and in the layers of the skin. The same is true for L-PCA. The F.P.D. patent is a biomimetic active ingredient because it mimics the natural functions of the skin. In which way are Jonzac formulas biomimetic? To create an emulsion, it is necessary to blend oil and water, just like the skin does. An emulsion, in fact, consists of dispersed micro droplets of oil in water. To stabilize these elements, we use emulsifiers. These are amphiphilic molecules (that like both oil and water) that serve as interface for the oil and the water. Just like the structure of cell membranes, Jonzac emulsions are based on emulsifiers such as lecithins or glucosides. Theses emulsifiers are capable of forming lamellar structures in the presence of oil and water. Jonzac skincare mimics the natural organization of the skin. These products are therefore derma-compatible for a perfect osmosis with the skin. They act like a second skin and therefore are well tolerated. The active ingredients penetrate better for improved efficacy of Jonzac skincare. To take things one step further and to perfect the biomimetic effect, Jonzac skincare formulas contain the F.P.D. patented active ingredient. What is the F.P.D. active ingredient? Jonzac thermal water offers many virtues for the skin. In order for the skin to fully benefit from these, it must be in the most favorable condition possible! 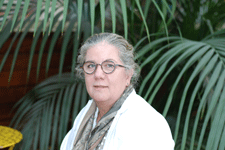 For that, Eau thermale Jonzac® developed the F.P.D. active ingredient that fully preserves the rich mineral content of this water and maximizes its properties. The thermal spring water was not modified in any way to avoid altering it and it is preserved in a unique lamellar structure. This means that Jonzac thermal spring water is incorporated in between the phospholipidic bilayers. This structure is inspired by that of the skin so that Jonzac thermal spring water performance and efficacy on the skin is further developed. This way, the patented F.P.D. active ingredient forms a waterlogged film on the surface of the skin, then penetrates deeply into the various layers of the skin, progressively releasing the water stored in the lamellar structure for maximum efficacy. This natural similarity increases the hydration rate of the skin. What Does F.P.D. Stand for? F for Formation of a reservoir film on the surface of the skin. P for Penetration deep into the layers of the skin and full Preservation of Jonzac water’s integrity. D for progressive Diffusion into the tissues3. What is a hydrating emulsifier? Eau thermale Jonzac® formulas include emulsifying active ingredients. In addition to their emulsifying properties, which means they create the dispersion of an oily phase in a watery one, these emulsifiers also form a lamellar phase in the watery phase. This creates actual reservoirs of biomimetic water. When in contact with the skin, these reservoirs release the water gradually over time, ensuring long-term hydration. How do you explain lamellar structures? The membranes of the skin cells are organized in lamellar structures themselves. For water to be trapped in the skin, it must be protected by the fattiest system. Therefore, the skin consists of layers of water and fat. Visually, you need to imagine a sandwich with different layers, this is a lamellar structure! When these lamellar structures are disrupted, it can lead to poor hydration, with dry or irritated patches. This delicate balance can rapidly be disturbed by the exterior environment and also by the application of unadapted cosmetics. 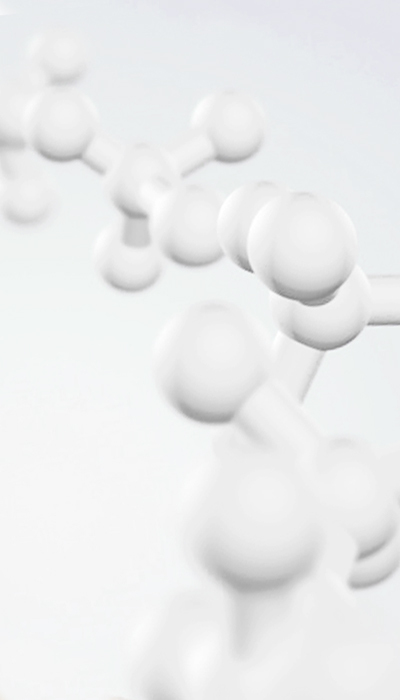 The Jonzac formulation is biomimetic because Jonzac cream is already in a lamellar structure. With the same organization as the skin, you obtain hyper compatibility and perfect mimetic behavior!